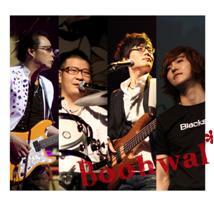 Boohwal is a legendary rock band originating from South Korea. Since 1986, they’ve been through tremendous changes in members, in style; they’ve passed through so many challenges that only keep them going and become stronger and better every each day. Click here to check out [ALL MUSIC VIDEOS] of Boohwal over the years. A lot of foreign fans don’t know how to get Boohwal’s CDs abroad, so please go to the red button on the right side to check out the sites where you can get their CDs abroad – please note that I DO NOT provide links for free downloads. The “Rock Rock Rock” miniseries that was aired recently, taking the theme of Kim Tae-Won’s life story have drawn a lot of attention to Boohwal both from within Korea and internationally. 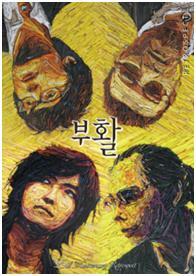 Click on the correlating [Rock Rock Rock] button on the left to find the details about this drama. You can find the list of most recent posts in this site on the left-hand side and categories organized below. Top posts and comments could be found on your right-hand side, as well as monthly archive from March 2010-2011. 작년 이날에 저의 첫 부활 공연에 가려고 준비하고 있었는데… 벌써 일년까지 부활과 함께 갈 수 있다는 걸 상상도 못 했네요. 부활을 사랑하는 마음을 담아서 이렇게 일년간 https://boohwal.wordpress.com을 완성하였씁니다. 가장 힘든 시기에 힘이 되어준 부활 오빠들, 마음속에서 늘 감사하고 존경하고 사랑합니다. 이제 저도 제 길로 걸어가야 할때가 왔네요.. 부활음악은 늘 제 배경으로 남아 있을거고 힘이 들때 기쁠 때 그리워하게 될거예요. 남자의 자격, literally translated “Men’s Qualification”,is an entertainment program on KBS 2 TV in Korea started on air since March 2009. It’s more than extremely late of me to only write an article on this program now when it’s reaching a two-years anniversary. At first, as much as I was and still am an avid viewer, I didn’t find it as relevant for it only includes Kim Tae-Won (among other Boohwal members) in it, as well as it has practically nothing to do with music – let alone Boohwal’s music. But really, what is Boohwal without Kim Tae-Won? 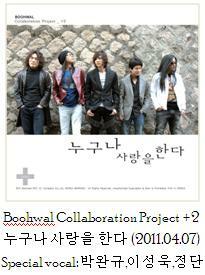 And the rebirth of Boohwal in the latter 2009 was partly (if not mostly) thanks to Kim Tae-Won’s apperance in this entertainment program. Kim Tae-Won said and I recall, that having done music for 23 years.. nobody ever recognized him. Having started in this program, suddenly people started taking interest in him, as well as his music, that is to say, Boohwal. 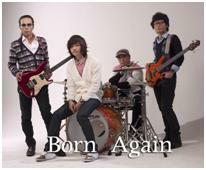 Having helped Boohwal to rebirth, the program once again presented another miracle, helping Kim Tae Won to rebirth himself. Better late than never, thus I’m posting this article as a token of my appreciation to “Men’s Qualification”. The program started off with 7 members, but Kim Sung-Min (김성민) had to drop out from the program on December 2010, leaving only 6 men in the team: 이경규 (Lee Kyung-Kyu), 김국진 (Kim Kuk-Jin), 김태원 (Kim Tae-Won), 이윤석 (Lee Yun-Seok), 이정진 (Lee Jung-Jin), and 유형빈 (Yoo Hyung-Bin). Among the first episodes of Men’s Qualification that I watched was [남자, 그리고 두번 결혼하기] “Men, and second wedding.” No, it’s not suggesting men to have more than one wife, but to re-plant the seeds of romance into marriage by having another wedding with the same couple. 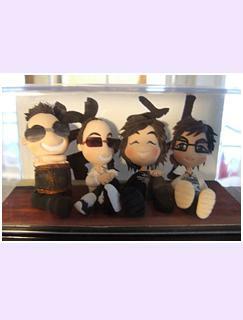 Out of the original 7 members of the program, 3 were married and 1 divorced, among them Kim Tae-Won and Lee Kyung-Gyu were married the longest. In the end, Kim Tae Won ended up to be the one to make a second proposal to his wife. 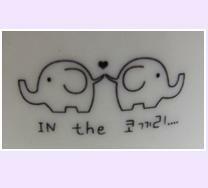 **It has passed 24 years since Kim Tae-Won and Lee Hyun-Joo first met, and they were married after 9 years of dating. They have a daughter and a son together. One thing that I got from this episode is that, if I were to get married, I want to have a marriage filled with love as the marriage of these two. It’s obvious she loves him endlessly and he loves her equally as much. They have a lot of respect and love for each other, and it’s not only seen from the words they’re saying to each other, one can see it from as small a thing as their body gestures~ it simply is just lovely. Among other first episodes of Men’s Qualification was [남자, 그리고 친구 집 알기] “Men, and Knowing my Friend’s House.” They had this project when the TV show had only started for a while, when most people in Korea had practically no idea who Kim Tae-Won was – that’s how un-famous Boohwal was, despite its history. So they visited Kim Tae-Won’s house, and then his parents’ house, and Boohwal’s rehearsal studio. Before this episode of Men’s Qualification, a lot of Korean TV viewers thought he was a comedian – you can’t deny he’s a funny guy can you ^^ The picture on the top-left says “Do you know Kim Tae-Won”? 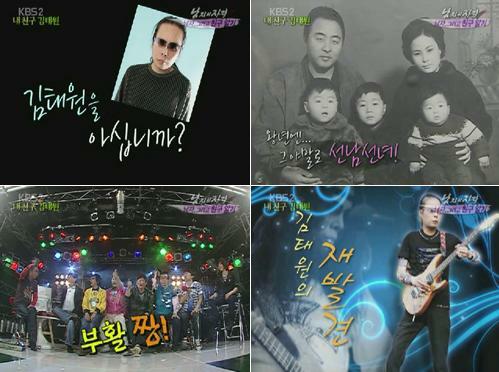 The picture on top-right shows a picture of young Kim Tae-Won (far-right) on his mother’s lap. The picture was taken before his two younger sisters were born, I assume – judging he was probably only 1 or 2 years-old at most at the time. The pictures below were taken in Boohwal’s rehearsal studio, introducing the Guitarist Kim Tae-Won, Boohwal leader Kim Tae-Won. The next episode that caught a lot of public attention was the lecture they held in Kyunghee University, Seoul. Each member of the team presented a lecture to university students on how they should spend their youth. On this session the lecture Kim Kuk Jin was especially remarkable to a lot of viewers. 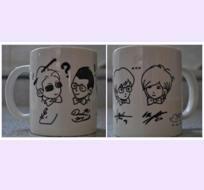 On my account, [남자, 그리고 아마추어 밴드] “Men, and Amateur Band” episode was special. In this episode, Men’s Qualification team worked together to make an amateur band. Kim Tae-Won acted as their trainer, since he’s a pro. 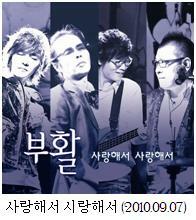 Instead, he wrote a song just for this amateur band, titled “사랑해서 사랑해서” (Because I Love You). It went kind of rough in the beginning, I myself was in their first public performance – 21 March 2010, the final day of Boohwal’s Wonderful Days Vol.1 Concert – and (I’m sorry, but) they were not pleasant to hear.. But they worked on it, and they got better. They entered an amateur band competition and won the Bronze Prize, and then they went into recording and the song hit the first place in all Korea’s music chart. 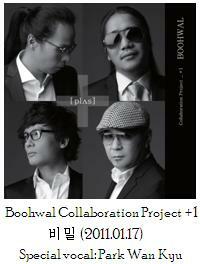 Boohwal then follow making Boohwal’s version of the song, which was also the first digital single Boohwal had ever released. This is just to show view example how much this program has touched and somewhat changed Kim Tae-Won’s life. A wrap to close the year 2010, Men’s Qualification held a [2010 송년회] Year-End Party, inviting the people whose took part in the program during the whole year, including Boohwal members and members of the choir, among other. They had some small singing competition in the end, in which Boohwal’s vocalist Jeong Dong Ha (정동하) participated. 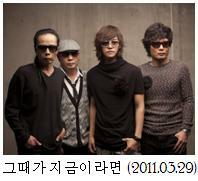 He sung “생각이나” (Thought) which gained huge popularity in 2009 – among other thanks to Men’s Qualification itself for inserting the song as background to many scenes. The song, sung by its original singer, drew quiet a few men into tears, including the song’s composer himself. In the year 2011, Men’s Qualification has a view agendas to accomplish. Among other, learning tap dance and going backpacking. The backpacking trip was planned to be held in May this year, but let’s see if they’re gonna keep the schedule given the recent development. A big surprise, yet another turning point in Kim Tae-Won’s life, came up yet again thanks to this program. As part of public education (I suppose), they held a series of episodes about cancer. They had all the remaining 6 members of the team went through cancer check and all, including lung cancer, stomach cancer, and others. And as it turned out, a small lump of tumor was found in Kim Tae-Won’s stomach. It was latter identified to be the earliest stage of stomach cancer. Men’s Qualification showed the whole process from when the verdict was told to Kim Tae-Won, the surgery, and after. And what can I say, I gain even more respect to this man. He’s fearless, he was calm, he was even reassuring the people around him that he’s fine. He’s a strong man and not one thing can change that. The Men’s Qualification team played the song [For My Father] 희망에게 “To Hope” in the background when Kim Tae-Won heard the news, just as I expected, coz this song also immediately came to mind when I heard about it myself. Thanks to Men’s Qualification, Kim Tae Won took the cancer check which he might have never done voluntarily, and thanks to it, they found the cancer cells before it could grow nor spread. Thanks to it, he’s had his second.. no, fourth chance to be reborn once again.. 부활..